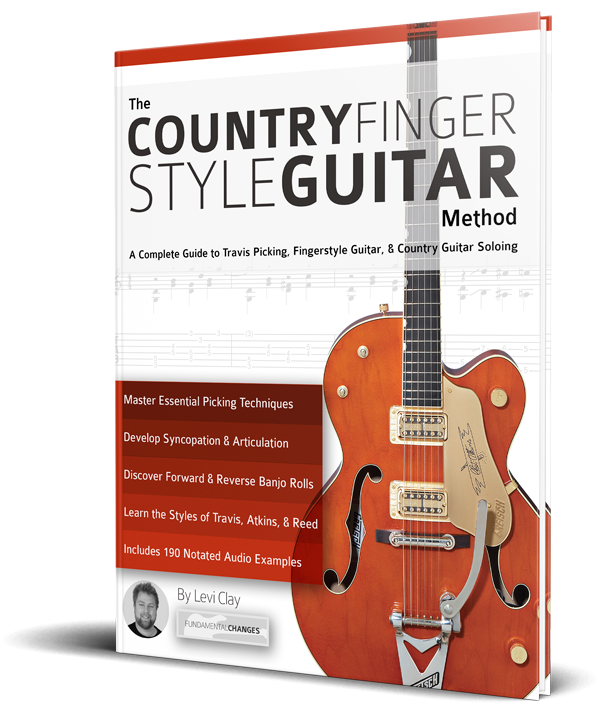 Are you stuck with Country Guitar Finger Picking? Do you need an organised way to tackle the essential techniques and vocabulary of Country Guitar? Do you need to confidently combine country bass lines with rhythm and lead guitar? Do you want to learn from the undisputed country guitar masters like Merle Travis, Chet Atkins, and Jerry Reed? 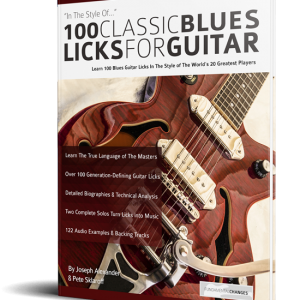 Do you want hundreds of Country Guitar licks, tricks and chords to dazzle your friends and enrich your guitar technique? 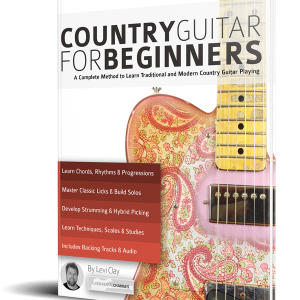 Are you struggling to Master Country Guitar and Travis Picking? 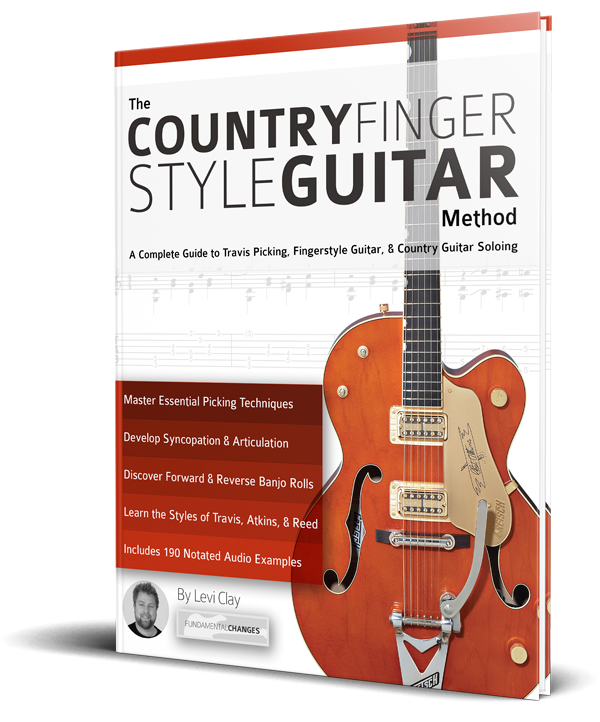 The Country Fingerstyle Guitar Method is the perfect way to master finger picking on the guitar. Part One tackles the techniques and skills needed to build confidence, speed and articulation when playing Country Guitar. You will cover the ‘pinch’ technique, thumb picks and alternating bass lines, syncopation, articulation, combining chord and bass lines, and soloing while holding down the chords and bass. You will become the perfect Country Guitar all-rounder with an excellent mastery of Travis Picking. Part Two takes a detailed look at the evolution of Country Guitar Fingerstyle and studies the styles and idiosyncrasies of artists Merle Travis, Chet Atkins and Jerry Reed. Each artist’s approach to Country Guitar is dissected and through multiple ‘in the style of’ examples. 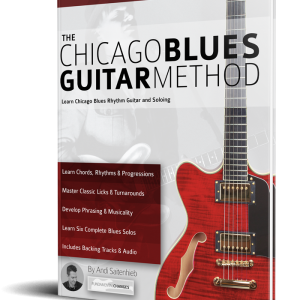 You will gain great insight into how Country Guitar Picking developed into the virtuosic style it has now become. You will discover harmony, part layering, harmonics, the “claw” technique, altered thumb picking, counterpoint, altered tunings and a whole lot more. Each technique and approach is combined into a musical study that gives real insight into the approach of the greatest country guitar players in the world and put you on the way to developing your own unique style. Complete style-files of the world’s three greatest country fingerstyle guitarists. Reading music from paper is one thing, but once you hear how to apply it, it becomes music. 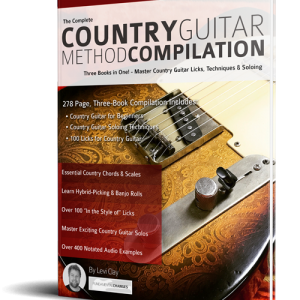 The Country Fingerstyle Guitar Method contains 190 supporting audio examples to help you get inside the music, and quickly apply every new concept in a musical way.